Milan Pathak and I took a week off work and flew down to Rome. Neither of us had been there before and we really wanted to get down there. We checked into a brand new hotel opposite the train station and walked into the heart of the city. Needless to say, we both loved Rome! There’s much to see and do and so much history there. We also enjoyed the food and drink there and ate like kings every night. The Pantheon. 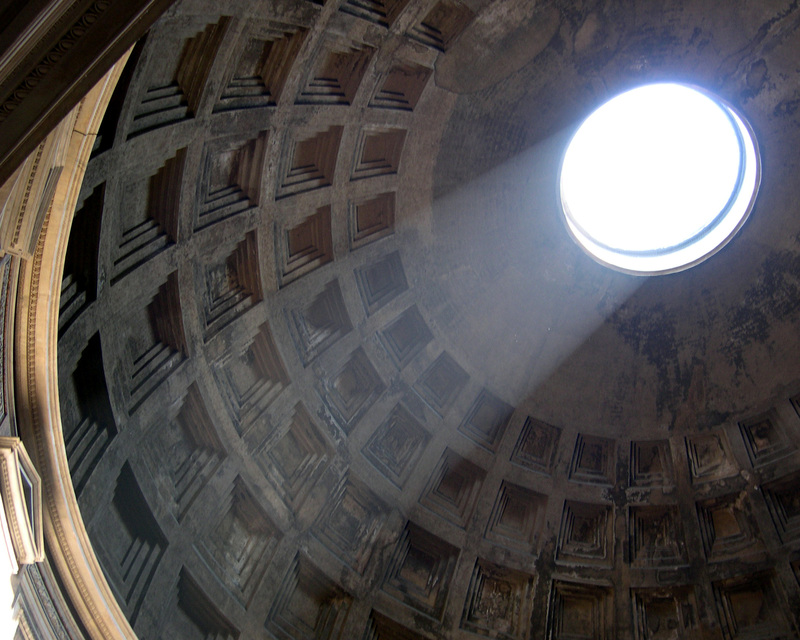 The open domed roof of the Pantheon. The Roman Forum. The Colosseum. Outside the Colosseum. Trevi Fountain. The view from the Vatican Dome. Milan appreciates the male figure. After several days in Rome we caught the train to Naples (Napoli) and walked down to the docks to catch our ferry. Even though we weren’t in Naples for long we though the place was a dump: unclean and unsafe. We got on our ferry and left Naples with terrific views of Vesuvius. Our destination was the island of Capri, a short distance off the coast. It’s a mountainous island with villas and hotels plastered to its sides and crystal clear water below; the Roman emperors even used to use it as a summer residence. We checked into our hotel in the village, near the top of the funicular, and then went to explore the town. We had a couple of great days exploring Capri – traveling to different parts of the island, doing a few short hikes, and of course enjoying the food! A few photos from beautiful Capri. While on Capri, we took a day trip by ferry to Positano, a beautiful town on the Amalfi Coast. Positano, on the Amalfi Coast. We also took another day trip around Capri. Our first stop was La Grotta Azzurri (the Blue Grotto), a sea cave that due to its unusual shape at its entrance allows natural light to flow into the cave through the water, giving the cave an iridescent blue glow. Our cruise boat moored outside the cave and we got into one of the small row boats, which then made their way into cavernous interior of the cave through the smallest of opening – so small in face that we had to shoot through between swells! We had a couple of minutes to enjoy the cave, all the while the oarsmen gave their best rendition of the old Italian classic “O Solo Mio”! The ethereal Blue Grotto on Capri. Oh yeah a hot tip for young diggers… I found out that the tours of the Blue Grotto only run until 5pm or so. If you make you way down from the road to the grotto entrance you can then go swimming in the cave on your own!! !